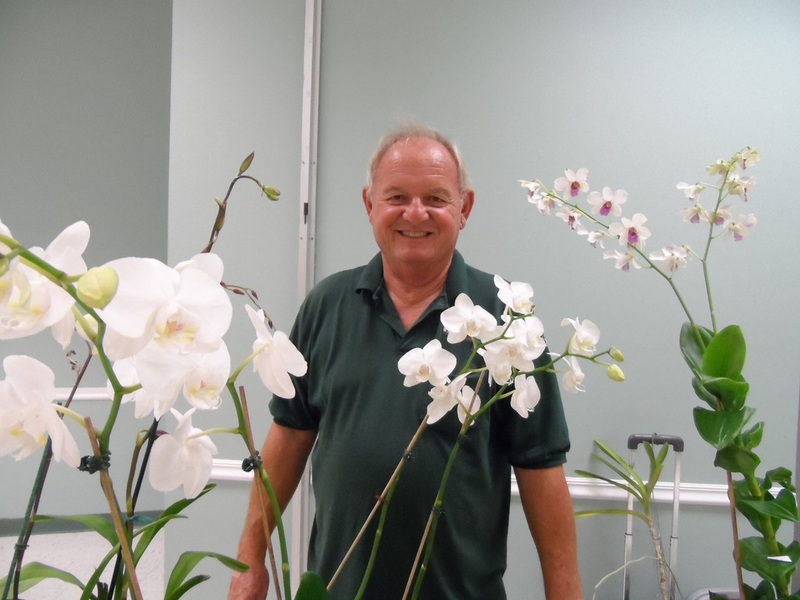 Dan Christensen has been growing orchids first as a hobbyist for over 35 years and as a commercial growers for nearly 20 years. Dan & Margie Orchids is located has over 12,000 square feet of covered growing space specializing in Vanda/Ascda. crosses, Cattleya hybrids, warm growing Oncidium, Dendrobium and some species. Dan has been speaking on general orchid culture, Vanda culture and various subjects related to orchids for over 30 years. He uses the "common sense" approach to growing. He has been a member of the South Florida Orchid Society Board of Directors for over 15 years and has served as the president of SFOS for two consecutive terms. He also has served as a board member of, Miramar OS and Gold Coast OS, serving in various capacities. He has also auctioneered at SFOS, North Dade, Gold Coast, Sunrise, Plantation, Coral Springs & Flamingo Orchid Societies for several years. 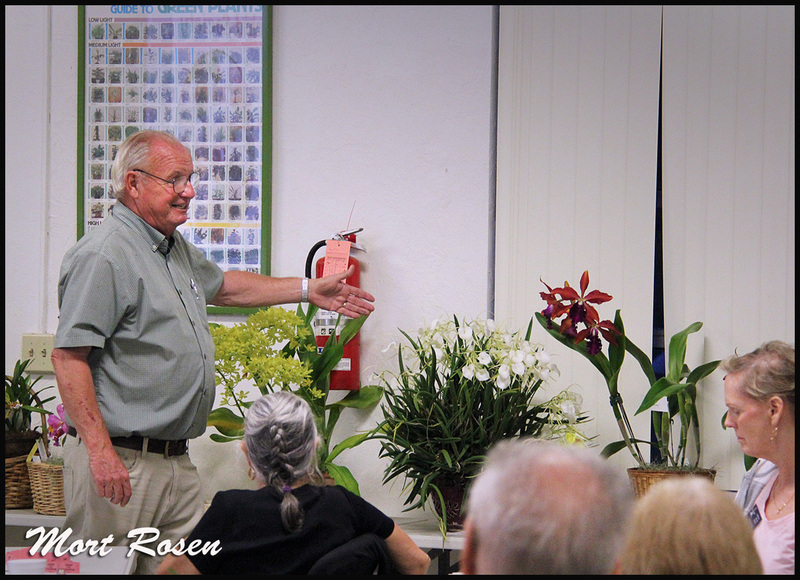 Below, Dan Christensen in action, teaching us about the "Common Sense" approach to growing orchids. The Society was organized on October 20, 1967, as an outgrowth of orchid culture classes taught at the Pine Jog Conservation Center. Our meetings are open to everyone, members and non-members alike! Guests are always welcome. Activities include Picnics, Bus Trips, Plant Sales and Auctions as well as Parties. We're a social group and hope you'll enjoy the fun with us! Yearly membership includes all that the Tropical Orchid Society has to offer!